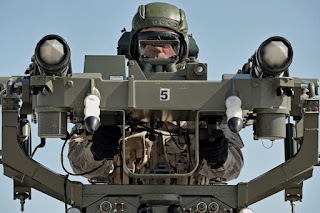 The trials will show how well, or not, the fighter's sensors can spot the drone, which could impact various air combat developments in both countries. 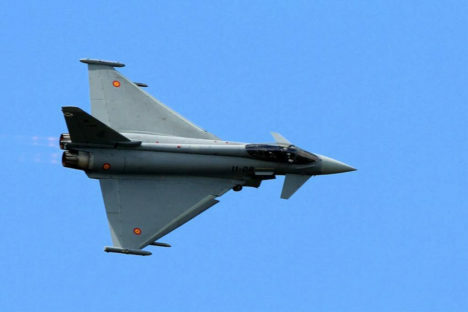 Spanish Air Force Eurofighter Typhoon fighter jets and supporting personnel recently arrived in France to take part in evaluating the stealthy qualities of the Dassault nEUROn unmanned combat air vehicle, or UCAV. This comes as the Spanish are considering buying more of the fighters and are looking to join the French and Germans in the development of a new stealth fighter, as well as advanced unmanned combat aircraft. 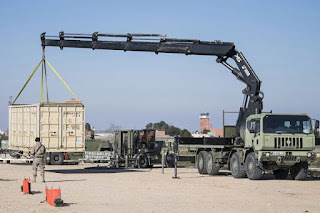 Spain’s Ministry of Defense announced the deployment in a press release on Dec. 28, 2018. 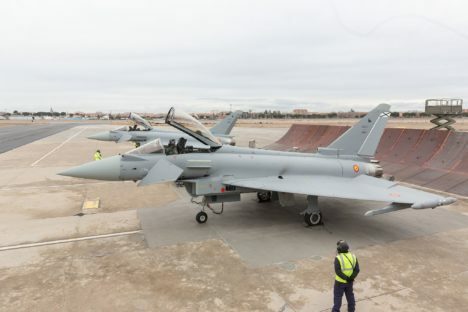 The Spanish contingent consisted of two Typhoons, along with pilots and maintenance personnel, from Ala 11, or 11th Wing, which is based at Morón Air Base. The jets will operate from the French Air Force’s Istres-Le Tubé Air Base, which serves, in part, as a major French military aviation test facility, for the duration of their visit. During that time, the Typhoons will try to spot and track the nEUROn using their onboard radar, infrared search and track (IRST) system, electronic support measures suite, and the imaging infrared seeker in the IRIS-T short-range air-to-air missile. 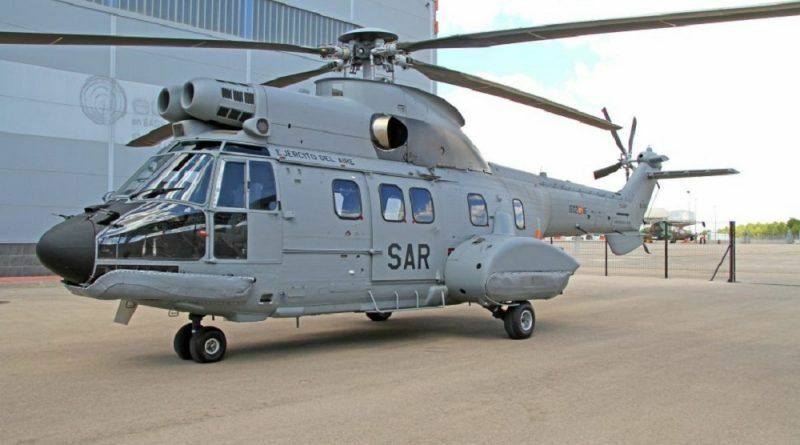 “It must be taken into account that the nEUROn was conceived as a stealth aircraft with very low radar and infrared signatures; hence the interest of facing this system with radars and other aerial sensors,” a basic translation of the Spanish statement said. The nEUROn program dates back to 1999 and, while France’s Dassault leads the project, it is really the work of a European team. 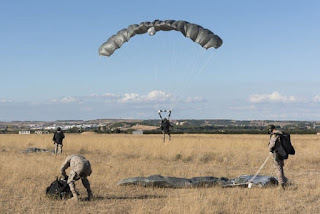 Spain, through what had been known as EADS-CASA, has been involved in the drone’s development since 2006 and has been responsible for work on the wings, ground control station, and data link integration. 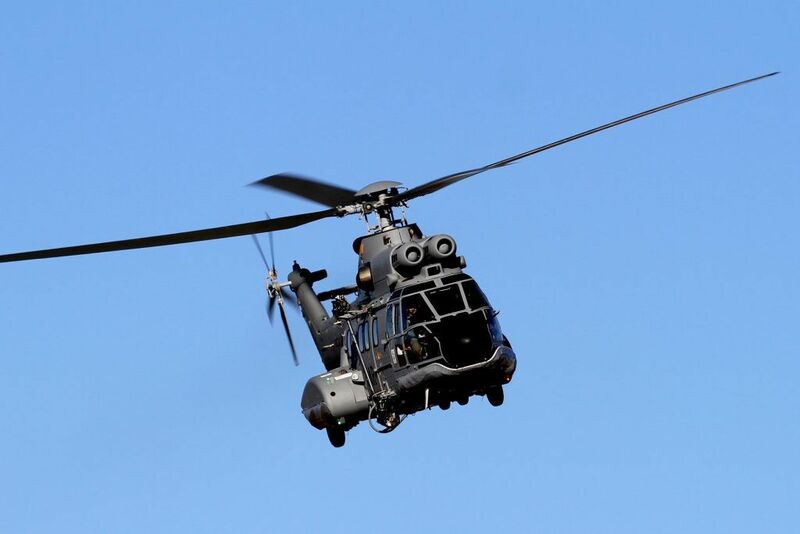 In 2009, European aviation consortium Airbus’ military division absorbed EADS-CASA completely. Billed as a UCAV technology demonstrator, nEUROn has been flying since 2012 and has already gone through a number of tests to determine its ability to remain undetected and penetrate air defense networks. In 2016, the aircraft was reportedly able to successfully breach the air defense perimeter around the French aircraft carrier Charles de Gaulle, a clear demonstration of its stealth characteristics. But there's no indication it has ever squared off against the Eurofighter Typhoon specifically. 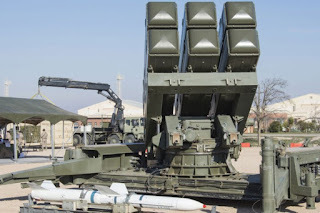 Though Spain plans to upgrade its late-model Typhoons with the new active electronically scanned array (AESA) CAPTOR-E radar, its current jets still employ the mechanically scanned CAPTOR radar. They also feature EuroFirst Passive Infrared Airborne Track Equipment (PIRATE) infrared search and track system. 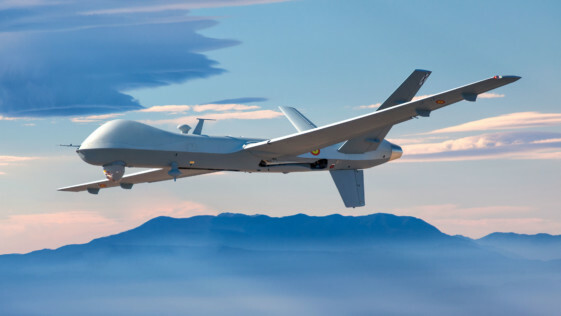 In looking for nEUROn, Spanish pilots will get a chance to see how their sensors work, or don’t, against a real-life, very stealthy target and provide important baseline data on how CAPTOR, PIRATE, and IRIS-T fare against the unmanned aircraft's low signature design. This, in turn, could support the development of improvements or replacements for those sensors. The radar data specifically might be valuable as a control variable for future tests of the improved CATPOR-E. 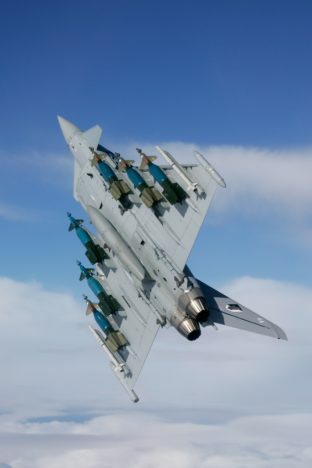 The Franco-Spanish testing is also likely to help inform the development of new tactics, techniques, and procedures for Typhoon pilots operating in future conflicts against opponents with manned or unmanned stealth aircraft. IRST systems, which have steadily improved in terms of range and precision, have become increasingly important alternatives to radar when it comes to detecting aircraft that feature low radar cross-sections, for fourth-generation fighter jets, in particular. The video below shows Spanish Eurofighters conducting NATO air policing missions in the Baltic region armed with both IRIS-T and AIM-120 air-to-air missiles. The tests in France will similarly give Dassault and its European partners additional information about the unmanned aircraft's capabilities that can only help in improving and refining nEUROn and its future operational successors. 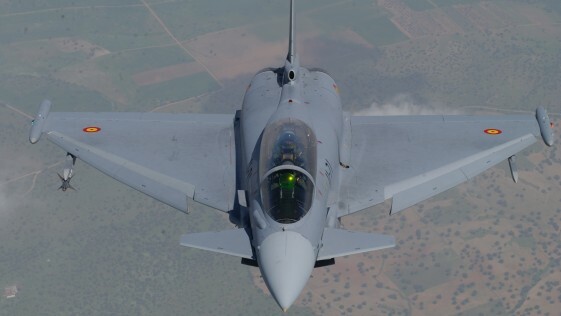 Just as the Spanish Eurofighter pilots will get a chance to test their air combat tactics against a stealthy adversary in a more realistic environment, the team in charge of nEUROn will have an opportunity evaluate any recent updates to the aircraft's physical design, sensors, flight control systems and software, and semi-autonomous capabilities. This can only help advance the nEUROn program, which is supposed to serve, in part, as a stepping stone to a serial production UCAV, known as the Next Generation Weapon System (NGWS). 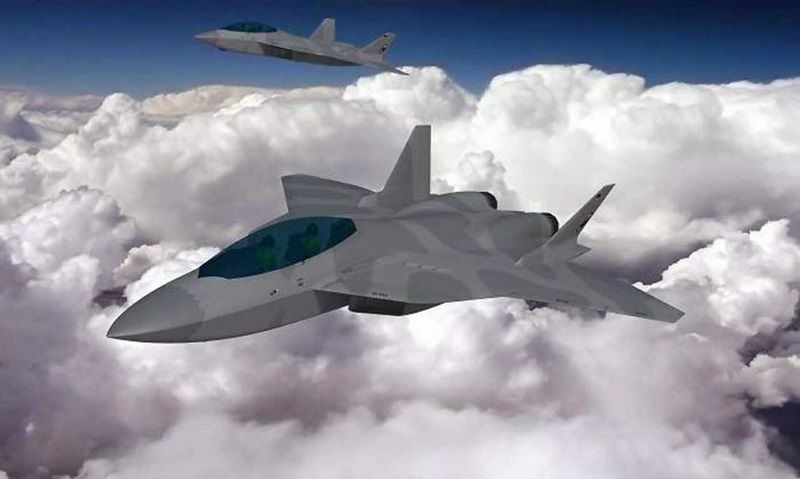 This follow-on project is part of the broader Future Air Combat Systems (FCAS) program, which also includes plans for a stealth fighter jet, or Next Generation Fighter (NGF). 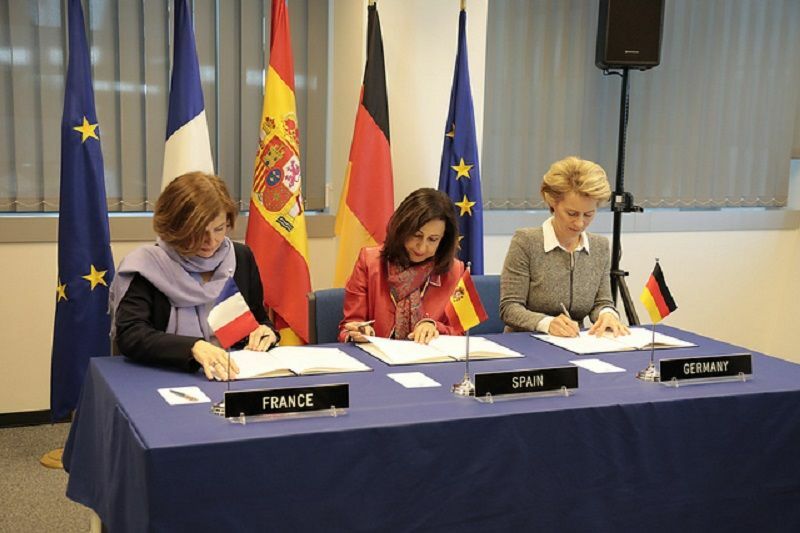 The French and Germans are leading the FCAS effort, but the Spanish Ministry of Defense publicly announced its desire to join the partnership on Dec. 3, 2018. At the same time, on Dec. 18, 2018, the Spanish Ministry of Defense said that it was considering purchasing additional Typhoons as interim replacements for at least some its aging EF-18A/B Hornet fighter jets. At least 20 Hornets will need replacing by 2025 and the entire EF-18A/B fleet is supposed to be out of service by 2030. 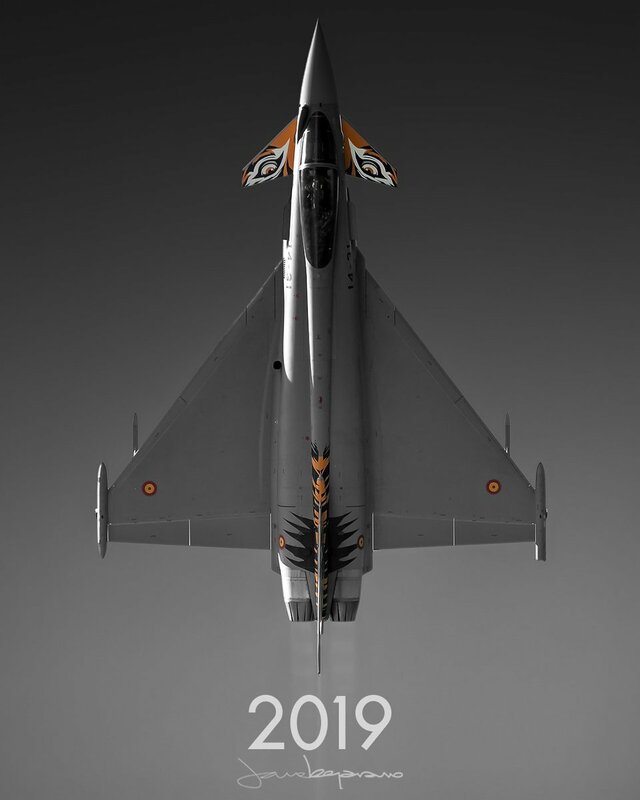 Buying more Eurofighters would be a logical course of action in the near term given that Spain already operates this type, which would help keep training, maintenance, and logistics requirements to a minimum. Still, Spain ultimately wants to replace all its remaining Hornets, and possibly some of its older Typhoons, with the NGF. The country could also be interested in acquiring any production-ready UCAV design that evolves from nEUROn. The FCAS program envisions the manned fighter jets working networked together with the unmanned aircraft as "loyal wingmen." However, present projections and past experience with stealth aircraft development programs, indicate that the NGF won’t begin entering service until sometime between 2030 and 2040, if it makes it into large-scale production at all. 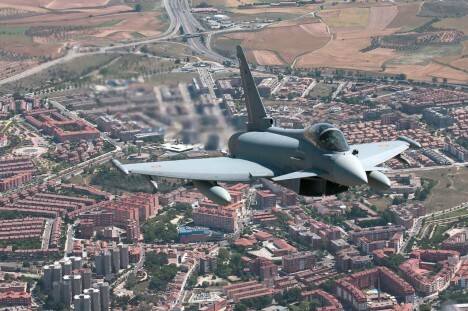 This would create a further impetus for upgrading existing and future Spanish Air Force Eurofighters to be better suited to taking on stealthy threats. Meteor, FLIR, datos, láser… ¿en qué consistirá la modernización del Eurofighter? Tras el enorme salto cualitativo proporcionado por el paquete de ampliación de capacidades para el Eurofighter denominado Phase 1 Enhancement (P1E), que fue implementado en los C.16 (denominación española del Eurofighter) de nuestro Ejército del Aire a mediados de 2016, este sistema de armas se encuentra ahora inmerso en el proceso de integración del siguiente paquete, el Phase 2 Enhancement (P2E). Se trata de la mejora que se va incluir en la flota de cazas Eurofigther de España después de que el Consejo de Ministros aprobara el pasado viernes la ampliación del techo de gasto de este programa en otros 906 millones adicionales (el presupuesto inicial de este programa lanzado en 1997 era de 9.254 millones). Fuentes oficiales de Airbus manifestaron su satisfacción por las declaraciones del Ministerio de Defensa español en las que expone sus planes para el futuro de su flota de Eurofighter: “Esperamos trabajar con este cliente tan valioso para implementar las mejoras propuestas que garantizarán el papel fundamental de Eurofighter en el corazón de la Fuerza Aérea Española durante las próximas décadas y que apuntalarán la estabilidad continua de la producción de aviones de combate en España”. El P2E incluye numerosas novedades que resultan cruciales para el mantenimiento del offset tecnológico del Eurofighter con respecto a sus principales competidores, y que suponen un auténtico hito en el proceso de constante evolución de este sistema de armas. La entidad y complejidad de los cambios incluidos en estos paquetes de mejora, que normalmente implican también modificaciones físicas en ciertos equipos o sistemas, sugiere que dichos paquetes sean puestos a disposición de las naciones usuarias de forma progresiva, por lo que su entrega se produce a través de incrementos. Así, tal y como ya sucedió con el P1E, el paquete P2E se ofrece en dos incrementos, denominados P2Ea y P2Eb, siendo decisión de las naciones la implementación del primero y/o del segundo en función de sus necesidades y de su estrategia. Esto permite a las unidades usuarias disponer de la estabilidad suficiente para poder explotar al máximo las capacidades de la versión recibida, reduciendo a su vez los tiempos de espera y evitando que el proceso de evolución del sistema de armas se vea ralentizado. En este caso, mientras que naciones como el Reino Unido disponen ya de unidades dotadas del paquete P2Ea, otras como España se encuentran en este momento inmersas en el proceso de implementación del P2Eb, que incluirá todas las mejoras del P2Ea más otras que estarán disponibles únicamente en este segundo incremento. – Integración básica del misil Meteor. motivo principal por el cual estos países han optado por el P2Ea. – Aumento sustancial de configuraciones de combate (Aire-Aire y Aire-Superficie). – Mejoras en equipos de transmisión y en el software operativo del sistema de armas. – Integración completa del misil Meteor. – Mejoras en la gestión de datos del sistema de armas con fines de mantenimiento. – Mejoras en el interfaz hombre-máquina (Human-Machine Interface, HMI) en relación al manejo del pod de designación láser (Laser Designator Pod, LDP). – Mejoras en el dispositivo de detección infrarrojo (Forward Looking Infrared, FLIR). La integración del misil Meteor, desarrollado y producido por un consorcio de empresas europeas liderado por MBDA, es sin duda la novedad principal del P2E. El Meteor es un misil radárico diseñado para destruir objetivos a distancias inéditas hasta el momento. Su alcance máximo supera con holgura los 100 Kms, llegando a duplicar el de las versiones más extendidas de otros misiles diseñados para el combate más allá del alcance visual (Beyond Visual Range, BVR), entre los que se encuentra el norteamericano AMRAAM, principal referente hasta la fecha. Además de las incomparables características aerodinámicas del Meteor, tanto el avanzado radar de que dispone como su capacidad de comunicación bidireccional con la plataforma lanzadora suponen una auténtica revolución en las reglas del combate aéreo. Por tratarse de tecnología íntegramente europea, el Meteor contribuye a la autonomía del continente en materia de defensa con un producto auténticamente revolucionario sin equivalente en el mercado. Además de en el Eurofighter, este misil ha sido integrado en el Gripen, en el Rafale y en el F-35. Esto último supone un hito inédito para la industria europea de defensa, por tratarse de la integración de un producto europeo de estas características -y sin competencia al otro lado del Atlántico- en una plataforma de origen norteamericano. Por el momento, Reino Unido y probablemente Italia, serán los primeros países en incorporar dicha capacidad en sus F-35. La entrada en servicio de este misil en el Ejército del Aire supone un antes y un después del que necesariamente se derivan cambios en áreas muy diversas. Por ejemplo, para el empleo operativo del misil y para su interacción con la plataforma lanzadora se hace necesario disponer de un sistema de generación y desarrollo de datos de misión con los que su rendimiento podrá “personalizarse” de acuerdo con las características del escenario. Por otro lado, se hacen necesarios ciertos cambios en la estructura del espacio aéreo nacional, de manera que pueda disponerse de zonas de trabajo con el tamaño suficiente para que las unidades usuarias puedan adiestrarse simulando los alcances que el misil proporciona. La participación de España en el programa Meteor convierte a nuestro país en una de las pocas naciones en disponer del misil Aire-Aire más avanzado y de mayor alcance del mundo. Pero no solo eso. También nos otorga una autonomía estratégica en materia de defensa inédita hasta la fecha, nos convierte en uno de los principales contribuyentes a la consolidación de una industria europea de defensa con vocación de liderazgo global, y proporciona a nuestras empresas un nivel tecnológico clave para su competitividad en otros ámbitos. Se trata, sin duda, de un claro ejemplo de lo importante que es diferenciar entre gasto e inversión cuando se trata de asuntos de defensa. 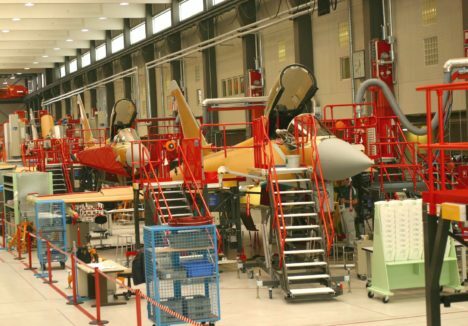 El paquete de ampliación de capacidades P2E incluye numerosas novedades que suponen un auténtico hito en el proceso de constante evolución del Eurofighter. Este paquete se proporciona en dos incrementos, denominados P2Ea y P2Eb, lo que permite una incorporación más gradual de las mejoras. En este momento, España se encuentra inmersa en el proceso de implementación del P2Eb, que incluirá todas las mejoras del P2Ea más otras disponibles únicamente en este segundo incremento. La integración del misil Meteor, desarrollado y producido íntegramente en Europa, es la novedad principal del P2E. Se trata de un misil radárico, que por su alcance (muy por encima de los 100 kms.) y por su nivel tecnológico (pues dispone de un avanzado radar que permite comunicación bidireccional con la plataforma lanzadora), no tiene competencia en el mercado. Sin duda, sus capacidades suponen una revolución en las reglas del combate aéreo. La entrada en servicio de este misil en el Ejército del Aire va a requerir ciertos cambios para garantizar su empleo operativo y el adiestramiento de las unidades usuarias. Pero, más importante aún, la participación de España en este programa sitúa a nuestro país en una posición de autonomía sin precedentes, en un proyecto clave para la competitividad de nuestras empresas tecnológicas y para la cohesión y el liderazgo de Europa en el ámbito de la defensa. Uma soldado espanhola foi despedida, ao fim de dez anos de trabalho, com a justificação de sofrer de stress pós-traumático. A mulher de 38 anos, que não participou em qualquer conflito armado, tinha acusado um superior de assédio sexual. O ministério da Defesa espanhol deu conta, no início de janeiro, da dispensa de uma soldado por alegada falta de condições psicofísicas. Segundo explica o jornal El País, o ministério considera que a mulher, de 38 anos e identificada como Delia, que tinha contrato com a Força Aérea até 2024, não reúne as condições necessárias para continuar em funções. A militar não vai receber qualquer compensação financeira pela dispensa. Delia foi demitida depois de ter solicitado uma licença psicológica que se estende desde 2016. Depois de passar pela avaliação de uma junta médica, foi-lhe diagnosticado "transtorno de stress pós-traumático", apesar de a mulher nunca ter participado num conflito armado ou ter sofrido qualquer acidente. Segundo o mesmo jornal, a militar pediu baixa depois de se ter queixado de ser vítima de assédio sexual por parte de um superior. O relatório da junta médica admite que os problemas que levaram à dispensa da soldado podem estar relacionados com o alegado caso de assédio sexual, mas que não é possível estabelecer uma relação linear. Enquanto os responsáveis não conseguem relacionar o caso, a mulher vai continuar sem trabalho. Foi no final de março, de 2016, que Delia se dirigiu à esquadra de Elche para denunciar o seu chefe. Na declaração que escreveu, a mulher explicou que começou a ser assediada mal chegou à base onde estava a prestar o serviço militar. Em 2014, e apesar das constantes queixas, colocaram-na a trabalhar sob as ordens do alegado agressor, juntamente com mais três soldados. Quando os outros companheiros terminavam as tarefas, o superior pedia para a mulher ficar mais tempo a trabalhar. Já sozinhos, o homem terá assediado a militar. Os avanços ocorriam mais de 15 vezes por mês. O juiz do tribunal de Elche concluiu que o depoimento da soldado atendia às exigências de "verossimilidade, credibilidade e ausência de contradição". Uma das provas anexadas ao processo é uma fotografia em que o alegado agressor aparece de pénis ereto em frente da queixosa. O caso foi depois enviado para a justiça militar. Três anos depois da queixa, o caso ainda está a aguardar julgamento. Entretanto, o alegado agressor esteve suspenso durante seis meses e em 2017 passou à reserva. El Boletín Oficial del Estado ha anunciado hoy la licitación para la construcción de un hangar para los cuatro aviones no tripulados MQ-9 Predator B (antes conocidos como Reaper) que entrarán en servicio en el Ala 23 del Ejército del Aire (Talavera la Real, Badajoz) en el segundo semestre de 2019. El importe estimado para la obra es de 5,7 millones de euros (con impuestos). Las empresas que concursen tienen de plazo hasta las 11 horas del 18 de febrero para presentar su oferta. Hangar de la capacidad suficiente para las cuatro plataformas aéreas, tres puestos serán para estacionamiento y el otro restante para mantenimiento, disponiendo éste de puente grúa, su forma es rectangular y simétrica. Sus dimensiones exteriores son de 104,51 m de largo por 24,97 m de ancho y 9,00m de altura libre. Edificio adosado “Edificio de operaciones-mantenimiento” donde se albergarán las oficinas, aseos-vestuarios, talleres, y almacenes varios así como cuartos de instalaciones, en la parte posterior al hangar, con capacidad para el personal que operara y mantendrá el sistema de armas. Sus dimensiones exteriores son de 104,51 m de largo por 9,00 m de ancho, su altura total es de 15,82 m.
Edificio adosado “Alojamiento de las GCS’s” zona de operaciones, lugar donde se depositaran los Shelters del sistema de armas, con capacidad para cuatro unidades. Sus dimensiones exteriores son de 29,08 m de largo por 14,83 m de ancho y 4,00m de altura libre. Su eje longitudinal tendrá una orientación N-S. Se cumplen 25 años de la creación del Escuadrón de Apoyo al Despliegue Aéreo (EADA). Esta unidad de élite del Ejército del Aire tiene su origen en la extinta Escuadrilla de Apoyo al Transporte Aéreo Militar (EATAM). El EADA es una unidad paracaidista cuya misión es apoyar en la defensa, despliegue y mantenimiento de las condiciones de operación a las unidades aéreas. Actualmente cuenta con un total de 320 militares, de los cuales 26 son mujeres. Se trata de la única unidad de la OTAN que ha operado ininterrumpidamente durante más de trece años en Afganistán, además de ser la primera unidad española en operar de forma permanente en esa zona de operaciones. Dese su creación, 13 de sus componentes han fallecido en acto de servicio, 12 de ellos en accidente de aviación y uno tras un lanzamiento paracaidista en Ablitas (Navarra). Entre sus cometidos destaca la protección mediante sus equipos de escolta de las aeronaves de transporte del Ejército de Aire y sus tripulaciones cuando éstas operan en áreas de riesgo por todo el mundo, desempeñando cualquier tipo de misión. Durante el pasado año, la unidad realizó un total de 21 misiones de este tipo, sin contabilizar las propias de los destacamentos en curso. EUFOR apoyo a Mali. Desde 2013 realizando misiones de escolta y protección de las aviones C-130 del Ala 31 del destacamento Marfil, y prestando servicios de terminal aérea. EUFOR apoyo a la República Centroafricana. Desde 2014 realizando misiones de escolta y protección de los C-295 del Ala 35 del destacamento Mamba y prestando servicios de terminal aérea. Seguridad Cooperativa Mauritania. Formando a personal de la fuerza aérea de este país en misiones de protección de la fuerza y defensa de bases. Esta actividad se inició en 2016 y se desarrolla anualmente. Además de estas misiones, en mayo de 2019 está previsto su despliegue en la base de Siaulai (Lituania), en apoyo a los F-18 del Ala 12 en la misión de Policía Aérea del Báltico. El lema del EADA, ‘Obviam Primus’, define muy bien el espíritu de la unidad: llegar siempre los primeros. Iniciados los trámites para la adquisición de pods de Guerra electrónica. La ministra de Defensa, Margarita Robles, ha asistido en el día de hoy a la reunión de ministros de Defensa de la OTAN que se ha celebrado en Bruselas. En su comparecencia pública al término de dicha reunión, Margarita Robles ha destacado los aspectos más importantes del que ha sido el principal evento de esta jornada: la firma de la Carta de Intenciones para unirse al futuro sistema de combate aéreo, FCAS por sus siglas en inglés. La ministra ha subrayado que “España se une a este proyecto en igualdad de condiciones que Francia y Alemania”, lo que va a dar una visibilidad de liderazgo a España dentro de las políticas de Seguridad y Defensa europea. 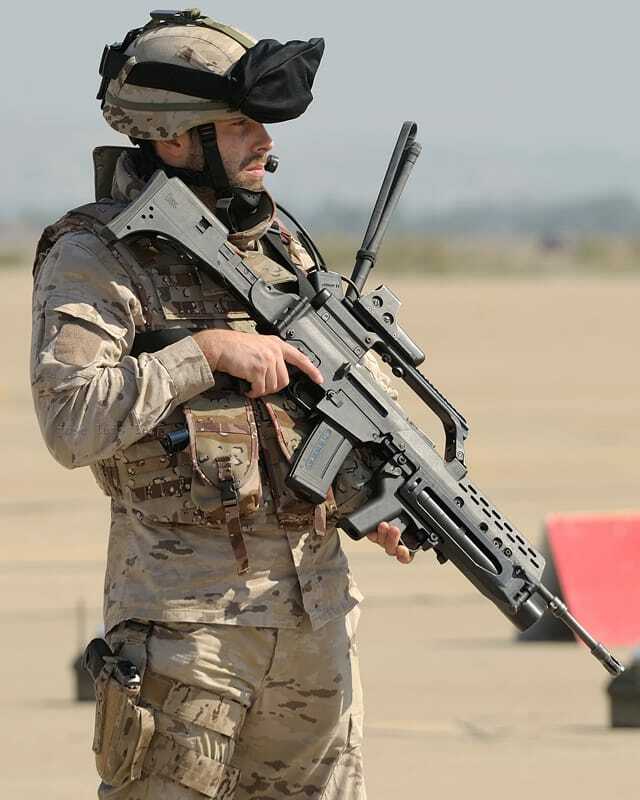 Igualmente, Robles ha destacado la importancia que tiene este proyecto para la modernización de las Fuerzas Armadas y, en concreto, para el Ejército del Aire, así como el impulso para el desarrollo de la industria española de la Defensa. El secretario de Estado de Defensa (SEDEF), Ángel Olivares, que ha acompañado a la ministra durante su comparecencia, ha destacado la importancia histórica de este día, tanto por lo que significa para la Unión Europea como para la relación de aquella con la OTAN, sin olvidar su significado industrial y tecnológico. El SEDEF ha comparado los beneficios de este proyecto con lo que en su día supuso la participación de la industria española en el programa Eurofighter. Este programa, que se gestó a iniciativa de Alemania y Francia, suma a España como tercer socio con la vista puesta en el año 2040, fecha en la que se espera poder comenzar a renovar las actuales aeronaves de combate que componen las fuerzas aéreas de estos tres países. Una característica que diferencia este consorcio de otros programas aeronáuticos anteriores; es la intención de diseñar y construir no solo un avión de combate, sino todo un sistema aeronáutico integrado que sea capaz de operar conjuntamente en cualquier escenario. El ministerio de Defensa está haciendo una apuesta clara para proporcionar oportunidades de calidad a la industria española de Defensa por lo que la participación en este programa permitirá mantener una sólida base de la industria aeronáutica española, que contribuirá a la creación de puestos de trabajo de muy alta cualificación y valor añadido. Três Ministras da Defesa? Sim Senhora.